Get answers to your questions under various topics in an easy to read manner. Feel free to write to info@investguru.in if you do not find your query here. We shall be happy to reply you back. A Mutual Fund is an investment tool that allows investors access to a well-diversified portfolio of equities, bonds and other securities, as per the objective of the scheme. Each investor participates in the gain or loss of the fund. Units are issued and can be redeemed as needed. The fund's Net Asset Value (NAV) is determined each day. Mutual Funds are financial intermediaries registered and authorized by SEBI(Securities and Exchange Board of India) to carry on the mutual fund business in India. They are companies set up to receive your money, and then having received it, make investments with the money via an AMC(Asset Management Company). It is an ideal tool for people who want to invest but don't want to be bothered with complexity of choosing the right shares or bonds for investment. A mutual fund manager proceeds to buy a number of stocks from various markets and industries. Depending on the amount you invest, you own part of the overall fund. Where does mutual fund invest investor's money? Mutual Fund invests investor’s money in shares/bonds/money market instruments depending upon the objective of the scheme. An Income scheme may invest the money in bonds and money market instruments whereas a growth oriented scheme may invest in stocks of promising companies. Primarily, there are two kinds of funds. Equity funds and Debt Funds. Equity Funds are high risk funds which tend to provide growth to investments by investing in stocks of companies, over long period of time say, 5-10 years. Debt Funds invest in bonds and money market instruments and try to preserve the capital and generate moderate income over shorter periods of time. Both Equity and Debt funds could further be classified into sub categories depending upon the objective of the fund. All mutual funds do not guarantee capital safety, hence risky in nature. However, the degree of risk varies in different kinds of mutual funds. An Equity fund may be the most risky and volatile fund whereas a Liquid Fund may be a low risk and least volatile fund. Mutual Fund investment is open to Resident / Non-Resident Individual, HUF (Hindu Undivided Family), Companies/Body Corporate, Partnership Firms, Trusts and Cooperative Societies. Mutual Funds are simple, low cost, liquid and transparent investment options. There are various kinds of mutual funds to cater different needs of investors. Mutual funds provide investment options for short duration investment as well as for long term, from high risk-high return to low risk-moderate return. Mutual funds are tax efficient in nature. Nomination and Joint Holding in mutual funds provides easy wealth transfer from one individual to another in case of unforeseen circumstances. What is the documentation required for investing in mutual funds? 2. Resident / Non-Resident Individual Investor *PAN Copy *KYC Acknowledgement Copy irrespective of the investment amount 3. HUF (Hindu Undivided Family) *PAN Copy of the HUF *KYC Acknowledgement Copy irrespective of the investment amount *HUF Stamp required on the Application Form 4. Companies/Body Corporate *Certified copy of the Board Resolution authorizing investments/ disinvestments in Mutual Funds Schemes, certified by the Company Secretary / Authorized Signatory *List containing names and signatures of the signatories, authorized as per the above Board Resolution, duly attested by the bankers/ Company Secretary on the Company's letterhead *Copy of the Memorandum and Articles of Association of the Company duly attested by the Company Secretary or any other authorized signatory *Other relevant documents governing the statute (in case of Body Corporate not covered under the Companies Act, 1956) *PAN Copy *KYC Acknowledgement Copy irrespective of the investment amount 5. Partnership Firms *Copy of the Partnership Deed duly attested by any of the partners *Signatures of the partners attested by their bankers *Copy of the Resolution, signed by the partners, authorizing investments/ disinvestments in the Fund and corresponding operational procedures *PAN Copy *KYC Acknowledgement Copy irrespective of the investment amount 6. Trusts *Copy of the Trust Deed attested by the Trustees/ Secretary *Copy of the Resolution passed by the Trustees authorizing investments/ disinvestments in Mutual Fund Schemes, duly certified by the Trustees/ Secretary *List of Trustees and signatures, authorized as per the above resolution, duly attested by the bankers/ Secretary of the Trust on the Trust's letterhead *PAN Copy *KYC Acknowledgement Copy irrespective of the investment amount 7. Co-operative Societies *Copy of the Registration Certificate attested by the Secretary/ office bearer of the society *Copy of the Resolution authorizing investments/ disinvestments in the Fund and corresponding operational procedures, duly attested by the Secretary/ office bearer of the society *List of members and their signatures, attested by the bankers *PAN Copy *KYC Acknowledgement Copy irrespective of the investment amount. How do i choose the right mutual fund for myself? Choosing the right mutual fund is dependent upon the goal you wish to achieve as an investor. If you are looking for growth over a long period of more than 5 years and ready to take risk on capital, Equity and Balanced Funds are the right vehicle. If you are looking for regular income with low risk and volatility, then Debt Funds can be considered. You can use the InvestGuru Guide’s two step process to identify the right mutual fund for your financial goal. InvestGuru Guide compares various mutual funds for every specific goal and suggests the most attractive schemes available in an easy format. You may also talk to us on 09910423232 for a personalised advice. I am looking for making fresh investment in mutual fund. Which are the best funds to invest? The choice of best funds depends upon your financial goal. If you are looking for growth of your capital over long investment horizon(5 years plus), then you can choose equity funds. If you are looking for safety with moderate returns, you may choose debt funds. We recommend you to use the InvestGuru Guide to identify the best mutual funds for yourself. Depending upon your goal and time horizon, InvestGuru Guide shall compare various schemes and list the most appropriate schemes at one place. From there, you shall be able to finalise the right schemes for yourself with ease. How can i start a new sip in existing fund? You can start a new SIP in the existing fund by downloading SIP/Auto Debit form of the respective fund house from our Download Centre. Apart from filling various details, do remember to mention existing folio no. of the existing fund in this form. How do i stop SIP in existing fund? You may download the Stop SIP form from the Download Centre for the respective fund house. Fill in the details and submit it with one of the Investor Service Centre. From the date of submission of Stop SIP form, it takes 30 days to stop the sip. So, be informed that at least one sip amount may get deducted from your account before it stops completely. You may redeem your funds, whether partially or fully, by filling in the Common Transaction Form and submitting it with Investor Service Centre. In case your bank account, which is mentioned in your investment, is no longer active, remember to get your bank details changed first in the investment and then proceed with redemption. How can i make additional investment in existing fund? You can make additional investment in an existing fund by filling the Common Transaction Form with additional purchase details and attaching a cheque payable to the Scheme Name. The same can be submitted with Investor Service Centre of respective fund house. Can i make partial withdrawl from my fund? You may make partial withdrawal from your fund by filling in the desired amount and other details in the Common Transaction Form and submitting it with Investor Service Centre of respective fund house. What happens to my invested fund when my sip stops or matures? After your SIP stops or matures, your amount remain invested in the fund till you switch or withdraw it. The value of the investment changes with the changes in the NAV of the fund. What is the tax liability when i redeem my fund? How do i change address/email-id/contact no. in my existing fund? To get the contact details changed in the fund, one needs to get the details changed in KYC first through KYC Change form(Refer KYC updation procedure in KYC FAQs). Once the details are updated in KYC, a request need to be placed with the fund house to update their details from KYC agency. How do i add/change nominee in my existing fund? You can add/change nominee in your fund by downloading and filling nomination form of respective fund house. Nomination form can be downloaded from our Download Centre. Can i make multiple nominations? Yes. You can make upto three nominations with combined sharing being 100% of the fund. My fund is not giving me returns. Should i discontinue my fund? A particular scheme may not be generating enough returns as per your expectations due to various reasons..Economic Environment, Quality of Fund Management, Nature of the Scheme etc. It is advised that you speak to your financial advisor or contact us to have a clear understanding of the same. How do i change/update bank details in my existing fund? You may change your bank details in the fund by downloading Common Transaction Form and filling in the new bank account details. You need to attach a proof of the old account and new account alongwith the common transaction form. The proof of old and new account could be a. cancelled cheque with your name printed or b. copy of updated passbook showing your name and account details. These documents need to be submitted with Investor Service Centre of respective fund house. The redemption cheque received by me has got lost. What do i do? You need to write to the respective fund house requesting issue of new cheque and mentioning the folio no., scheme name and date of redemption. You may also download and use Lost Redemption Cheque format for the same and submit it with Investor Service Centre of respective fund house. It may take 15-20 days after submission of request to receive newly issued cheque. The redemption cheque received by me has become outdated. What do i do? You need to write to the respective fund house requesting cancelling the issued cheque and for issuance of new cheque mentioning the folio no. and scheme name. You may also download and use Revalidation of Redemption Cheque format for the same and submit it alongwith the outdated cheque to the Investor Service Centre of respective fund house. How can i monitor the value of my portfolio? InvestGuru provides online portfolio tracker to its investors to keep a track of their portfolio performance. If you are an existing client of InvestGuru, you would have received login details from us. In case you do not have the login id, please write back to invest@investguru.in and we shall send you your login details. If you are not an existing client of InvestGuru, you may still write to us on invest@investguru.in with your investment details. We shall try to incorporate your current investments and issue a login id and password to you to monitor your portfolio online. I have not received my redemption cheque. What do i do? You need to call the customer care centre of the respective fund house and inform them about the non-receipt of cheque. Kindly mention your folio no. and the scheme name in which you have made the redemption. On the basis of the information provided by the customer care, you may act accordingly. My redemption cheque has bank details of the account which i have already closed. What do i do? You need to write to the respective fund house requesting cancellation of the issued cheque and for issuance of new cheque with new bank details. You need to submit the received cheque along with documents required for bank details change. Kindly refer Change in Bank Details FAQ for the same. You may also download and use Revalidation of Redemption Cheque-Bank Details format for the same and submit it alongwith the received cheque to the Investor Service Centre of respective fund house. What is the new KRA regulation issued by SEBI and what is the effective date? Presently for a client to invest with different intermediaries in the security market including mutual funds, he/she had to undergo the process of KYC separately with each of them. To create standardization and avoid duplication, SEBI has mandated uniform KYC for the securities market effective Jan 1st, 2012 through the KYC Registration Agency(s) (KRA). Does an existing investor with prior KYC has to complete the KYC formalities again? If an investor is KYC compliant and wishes to invest in an existing folio and the KYC / PAN status is updated in mutual fund records, he does not need to complete formalities again. However, in case the investor wants to invest in a new folio with same fund house, or wants to invest in a scheme of some other fund house for the first time, the KYC formalities need to be updated as per the new guidelines before investing in the MFs. What is difference between being KYC and KRA verified ? The New KYC forms has additional information requirement as compared to the Old KYC. Also IPV (in-Person Verification) is made mandatory for all the investors initiating the KYC. Who needs to be KRA Verified? An Investor, Individual/Non Individual/NRI who wishes to invest in Mutual Funds or with different intermediaries in the security market needs to be KRA verified. What is the documentation required for KYC? Following documents are required to be submitted by the investor for KYC verification alongwith duly filled KYC application form, Individual/Non Individual, as per the status of applicant (pls read the application form for further details). How do I make changes in my existing KYC details? Individuals need to fill and submit KYC Change-Individual Form along with required documents to make changes in existing KYC details. Corporates/Firms etc. need to use KYC Non Individual Form and complete the formalities just like doing new KYC registration. Where can I submit the KYC form? KYC form alongwith the required documents and application form can be submitted with respective fund house or at any of the offices designated as Intermediaries by the KYC Registration Agency (KRA). What will be the steps followed by an investor to be KYC compliant starting 01st Jan 2012? Fill up the new KYC Application form as available on our website as well as any of the KRA’s web site viz.www.cvlkra.com. The investor has to submit the application form in person at any of the offices designated as Intermediaries by the KYC Registration Agency (KRA). Obtain a temporary acknowledgement for submission of all the documents and completion of IPV; Once all the documents are verified by a KRA, they will send the investor a letter within 10 working days from the date of receipt of necessary documents by them from the Fund or its Registrar and Transfer Agent informing the investor either about compliance by the investor of the new KYC compliance procedure (“final acknowledgement”) or any deficiency in submission of details or documents. Who are the List of people authorized to attest the KYC documents? Notary Public, Gazetted Officer / Manager of a Scheduled Commercial / Co-operative bank or Multinational Foreign Banks (name , Designation & Seal should be affixed on the copy). 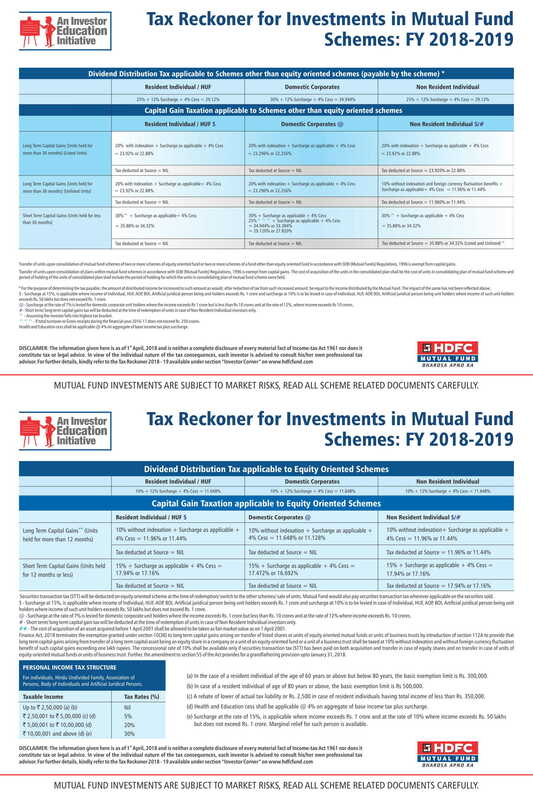 In case of Mutual Funds, their Asset Management Companies (AMCs) and the distributors who comply with the certification process of National Institute of Securities Market (NISM) or Association of Mutual Funds (AMFI) and have undergone the process of ‘Know Your Distributor’ (KYD), can perform the IPV. Can the AMC personnel do IPV? Yes, purely based on the requirement of the In-Person Verification with the validation of the original documentation. Is KYC mandatory for Micros SIPs (without PAN)? Yes. The list of documentation is furnished on the KYC Individual Application form. Stand-alone KYC done through the CDSL Ventures Ltd (CVL), but not mapped the same to any MF, will the investor have to complete the formalities once again with the KRA appointed by SEBI? No, The investor can attach the acknowledgement and give it with the Investment to the MFs. What type of communication will be issued for the KYC completion at the Intermediary? The Intermediary will provide an acknowledgement letter confirming the acceptance and processing of the KYC. Post the same, the KRA will also send a communication from their end within 10 working days of receipt of the documents from the intermediary. How long does the KYC formalities take for the investor to invest? The intermediary generates the KYC acknowledgement letter immediately, if the requisite documentation is complete. The communication from the KRA takes 10 working days from the date of receipt of the original documents from the intermediary. Do NRIs also need to be KYC compliant? Yes. To make investment in mutual funds, NRIs need to be KYC compliant. For NRI Investment, if the NRI is out of India how should he go about the KYC formalities? The acceptance of the requisite documents and the IPV formalities remain the same as already mentioned in the FAQs. Who are the List of people authorized to attest the NRI related KYC documents? In case of NRIs, authorized officials of overseas branches of Scheduled Commercial Banks registered in India, Notary Public, Court Magistrate, Judge, Indian Embassy / Consulate General in the country where the client resides are permitted to attest the documents. Which agency will act as a KRA for processing the KYC Application forms effective 01st Jan 2012? As of now CDSL Ventures Limited (CVL) will act as the KRA for processing the KYC Application forms effective 01st Jan 2012. Also the investors can continue to call the existing helpline nos. provided by CVL for any clarifications on KYC processing. Can KYC formalities be sent through e-mail? Can Change in the Details of the investor be sent via e-mail? No, the KYC Change Details form needs to be duly filled in with the requisite documentation for getting the change effected. Can KYC forms be sent through courier / post to CVL designated centres ? Yes, provided all the documents/IPV formalities as referred in the FAQs are adhered to. Can the investor get the Change Details done even if the KYC was done through the CDSL Ventures Site earlier? If an investor from Sikkim and do not have a PAN, can I get the KYC formalities done? Yes, under the PAN exempt cases. The same will be processed with the required POI and POA alongwith the IPV formalities as defined in the KYC application form. Is “In Person Verification” mandatory (IPV) for all the KYC Applications received effective 01st Jan 2012? Is it mandatory for the investor to make investment in order to apply for KYC effective 01st Jan 2012? Yes. No stand-alone KYC is allowed. Yes, NRIs are allowed to invest in Mutual Fund schemes in India. No RBI approval is required for the same. What is the procedure and documentation for NRIs to invest in Mutual Funds in India? For an NRI the procedure of applying in a mutual fund is similar to the one followed by residents. For investment in mutual funds, KYC verification of NRIs is mandatory(read KYC verification process in KYC FAQ). The completed application form must be submitted at the investor service centers along with cheques or bank drafts. Investment cannot be made in foreign currency. Rupee cheques drawn from the investor’s bank account in India or from abroad payable in a bank in India or Rupee drafts purchased abroad payable at the city where the application is made must be provided. Details of the Indian bank account of the investor must be furnished at the time of application. Redemption proceeds are paid in Indian Rupees by cheque to the account number provided at application. For select banks they may credit proceeds to the account directly. If investments are made on non-repatriable basis redemption proceeds will be credited to the NRO account of the investor. Similarly if a person turns an NRI after purchasing of units the maturity proceeds will not qualify for repatriation. However dividends are fully repatriable in all cases. What is the Tax implication on NRI investments in Mutual Funds in India? Mutual fund units are treated as capital assets and attract capital gains tax in India. If held for more than 12 months long term capital gains tax is applicable and for periods equal to or less than 12 months, short term capital gains tax is applicable. Indexation benefits are available for long term capital gains. No tax is to be paid on dividends received. TDS applies on capital gains tax. TDS certificate or Form 16 A is dispatched to the investor along with redemption warrant. Mutual fund units do not attract wealth tax. Under what condition NRIs can invest in mutual funds on Repatriable basis? * The amount representing investment should be received by inward remittance through normal banking channels, or by debit to an NRE / FCNR account of the non-resident investor. * The net amount representing the dividend / interest and maturity proceeds of units may be remitted through normal banking channels or credited to NRE / FCNR account of the investor, as desired by him subject to payment of applicable tax. Under what condition NRIs can invest in mutual funds on Non Repatriable basis? * Funds for investment should be provided by debit to NRO account of the NRI investor. Alternatively, funds may be invested by inward remittance or by debit to NRE / FCNR Account. * No permission of Reserve Bank either by the Mutual Fund or the NRI investor is necessary. In case of an application under a Power of Attorney, the original Power of Attorney and Certificate of Registration should be submitted to the Mumbai ISC within 7 days from the date of the application. The NRIs may also be required to furnish other documents needed to process their investments. Redemption proceeds will be paid by cheque. The cheque will be payable to the first unitholder and will include the bank account number. Alternatively the redemption proceeds will be credited directly to the investor’s bank account. This facility is available with select banks. Redemption proceeds/repurchase price and/or dividend or income earned (if any) will be payable in Indian Rupees only. The fund is not liable for any loss due to exchange fluctuations, while converting the Rupee amount into US Dollar or any other currency. Where the investment is made out of inward remittance or from funds held in the NRE/FCNR account of the investor, the maturity proceeds/repurchase price of units (after payment of taxes) may be credited to the NRE/FCNR/NRO account of the non-resident investor maintained with an authorised dealer in India [Clause 5(ii) of the Regulations]. Where the purchase of units is made on a non-repatriable basis, the maturity proceeds/repurchase price of units (after payment of taxes) will not qualify for repatriation and may be credited to the NRO account of the non-resident investor [Clause 5(ii) of the Regulations]. The entire income distribution on the investment will, however, qualify for full repatriation. Is Nomination facility available to NRIs for mutual fund investments? Is Appointing Power of Attorney facility available for NRIs for mutual Fund investments? Are the mutual fund proceedsrepatriable for NRIs? Please read FAQ on reptration and non-reptriation given above. To whom will the claim money be paid? The claim money will be paid to the beneficiary who generally is the nominee / assignee / appointee (in case of a minor) as mentioned by the Life Assured in the Application Form for Insurance. In such an eventuality, a "Succession Certificate" will have to be submitted by the Claimant. A Succession Certificate is issued on application by a competent court on the question of the right to the property of the deceased. The Succession Certificate should specifically provide for disbursement of policy monies. If, however, the deceased has left a will, a probate of the will is required along with the copy of the will. The Life Assured should nominate some other person in place of the deceased Nominee under section 39 of the Insurance Act. After how many days from the date of an incident should a claim be intimated? Except in some type of claims (e.g. Critical Illness Rider), where a waiting period is involved, all claims including death claims should be intimated as soon as possible. Who should inform BSLI about the claim and how? Where should one submit the claim forms? What does Pre and Post hospitalization mean? Pre- and Post-hospitalization expenses cover all medical expenses incurred within X days prior to hospitalization and expenses incurred within Y days post hospitalization (X & Y may depend on the Health Policy) provided the expenses were incurred for the same condition for which the Insured Person’s hospitalisation was required. What does Medical expenses mean? Medical expenses, means all those reasonable and medically necessary expenses that an Insured Person has necessarily and actually incurred for medical treatment during the policy period on the advice of a medical practitioner due to illness or accident occurring during the policy period, as long as these are no more than would have been payable if the Insured Person had not been insured and no more than other hospitals or doctors in the same locality would have charged for the same medical treatment. What does pre-existing disease or conditions mean? Pre-existing Condition mean any condition, ailment or injury or related condition(s) for which you had signs or symptoms, and / or were diagnosed, and / or received medical advice/ treatment, within 36/48 months(depending on the Health Policy) prior to the first policy issued by the insurer. The cashless facilities are available only at the hospitals that are in insurance company’s network. You can check the network hospital list from the Download section. When you are admitted to the network hospital, you need to show your Health Card to the treating doctor. The Network Hospital would contact the responsible TPA (Third Party Administrator, mentioned on the card) and fill up the pre-authorization form. Then it would send the same to TPA with estimation of expenses. The TPA checks the policy conditions and the sum insured and approves the estimate. If I avail cashless facility, does the insurance company pay the entire amount or will I be required to bear part of the bill at the hospital? Yes, the insurance company shall pay the entire admissible amount for the medical expenses incurred subject to the sum insured. You might have to pay for the non-medical and expenses not covered to the hospital prior to your discharge from hospital. An individual policy is purchased by you directly from us. In a Group Health Insurance Policy, the employer or legally constituted group is the policyholder and the insurance company contracts with the employer or legally constituted group. Insurance certificates, issued to a participating member, acts as your policy. In addition, group health insurance often contains special coverage's that are not available or are very expensive on an individual basis. The purchasing power of the group makes this economically feasible. Why should I buy a critical illness cover ? With rapidly changing demographics and lifestyles prevalence of critical illness is on the rise in India. With rise in life expectancy and chronic nature of critical illness there is a requirement of additional funds to afford high medical costs for treating such critical illnesses. Apollo’s policy covers 8 most common critical illnesses were an insured member is compensated by a lumpsum payment. At the time of renewing an Individual Policy or Floater Policy you can add dependants to your existing policy subject to necessary procedure and approval from the insurance company. You cannot add dependants in the middle of a policy except in the case of a new born baby, a newly married spouse and child > 91 days not covered earlier. For product specific conditions kindly refer to the product brochures. I want to increase my sum insured. How do I go about it ? Sum insured can be enhanced only at the time of renewal subject to no claim have been lodged/ paid under the policy. If the insured increases the sum insured one grid up, no fresh medicals shall be required. In cases where the sum insured increase is more than one grid up, the case shall be subject to medicals. In case of increase in the sum insured waiting period will apply afresh in relation to the amount by which the sum insured has been enhanced. However the quantum of increase shall be at the discretion of the company. How do I change my contact details in the Policy? You can change contact details in your policy by filling and submitting Policy Change Request form. In case of address change, you need to submit an address proof alongwith the form. How do I get the correction made in name/details of the proposer or lifeinsured in the policy? You can get the correction made in Name/Details of the life insured/proposer in your policy by filling and submitting Policy Change Request form. In case of name change, you need to submit a valid Photo ID proof of the insured/proposer alongwith the form. Whom to contact if I have not received my policy document/health cards? Kindly contact Apollo Munich Customer care at Toll Free: 1800-102-0333 or write to customerservice@apollomunichinsurance.com in case you have not received your policy document/health cards. In a cashless claim the insured is required to intimate TPA to avail cashless facility. On authorisation by the TPA, the TPA directly settles the claim to the network hospital and insured is not required to pay any charges except non-medical and expenses not covered under the policy. Insured person is entitled for cashless only in our network hospitals. In a reimbursement claim the insured has to pay upfront for the services of the provider and seek reimbursement from the Insurer for the covered services. In a pre-authorization process, the insured or the service provider seeks an approval and guarantee of payment from the insurer or it’s TPA for the covered services before the Hospitalization / service for planned treatment and during the course of Hospitalization / service for emergency treatment. For any emergency Hospitalisation, your designated TPA must be informed no later than 24 hours after hospitalization. For any planned hospitalization, kindly seek cashless authorization from your designated TPA atleast 48 hours prior to the hospitalization. TPA will check your coverage as per the eligibility and send an authorization letter to the provider. In case there is any deficiency in the documents sent, the same shall be communicated to the hospital within 6 hours of receipt of documents. Please pay the non-medical and expenses not covered to the hospital prior to the discharge. In case the ailment /treatment is not covered under the policy a rejection letter would be sent to the provider within 6 hours. Rejection of cashless in no way indicates rejection of the claim. You can make claim intimation by informing the insurance company on TPA’s toll-free number or in writing to TPA at any of company’s offices. Are there any charges by the hospital, which are not reimbursable and hence have to be paid by me? Yes, there are quite a few charges, which are not reimbursable and have to be paid by you even though you have been authorized for “Cashless Service” at the Network Hospitals. Some of those charges are enumerated below: •	Registration/Admission charges. •	Attendant/Visitor pass charges. •	Special nursing charges not authorized by the attending doctor. •	Service charges not forming a part of the room rent. •	Charges for extra bed for attendant etc. •	Bed retaining charges. •	Charges for TV, Laundry etc. •	Telephone/Fax charges. •	Food and Beverages for attendants and visitors, toiletries etc. •	Purchase of Medicines not related to the treatment. •	Stationery, xerox or certifying charges. The above list is only indicative and not exhaustive. Your policy allows reimbursement of medical expenses incurred 30 days before and 60 days after discharge(these days may vary from product to product, pls refer you policy document or contact your advisor for more information) from hospitalisation towards pre and post hospitalisation expenses. The Insured is required to send all invoices in original with supporting documents/prescriptions along with a copy of the discharge summary to the respective TPA. TPA will scrutinize the claim and settle the invoices subject to the overall limit of the policy. The invoices must be sent to TPA within 15 days from the date of completion of treatment. Medical documents with all details about the Illness; and the date and the place of the proposed Hospitalisation. How does one get reimbursements in case of treatment in non-network hospitals ? The insured person or someone claiming on your behalf shall provide Apollo Munich with any documentation, medical records and information that the insurance company or its TPA may request to establish the circumstances of the claim, its quantum or the company’s liability for the claim within 15 days of the earlier of the company’s request or the insured person’s discharge from hospitalisation or completion of treatment. •	Claim form, duly completed and signed for on behalf of the insured person. •	Original bills (including but not limited to pharmacy purchase bill, consultation bill, diagnostic bill) and any attachments thereto like receipts or prescriptions in support of any amount claimed which will then become Apollo Munich’s property. •	All reports, including but not limited to all medical reports, case histories, investigation reports, treatment papers, discharge summaries. •	A precise diagnosis of the treatment for which a claim is made. •	A detailed list of the individual medical services and treatments provided and a unit price for each. •	Prescriptions that name the insured person and in the case of drugs: the drugs prescribed, their price and a receipt for payment. Prescriptions must be submitted with the corresponding doctor’s invoice. Plastic surgery or cosmetic surgery is excluded unless necessary as a part of medically necessary treatment certified by the attending medical practitioner for reconstruction following an accident, cancer or burns. Does Health Insurance policies offer benefits if one suffers illness/disease or contract injury through accident either in India or outside India? Health Insurance policies(except overseas travel policies) only covers medical treatment taken within India and payments under these policies shall only be made in Indian Rupees within India. TPA means the third party administrator that the insurance company appoints from time to time as specified in your schedule. All claims under the policy will be processed and settled by specified Third Party Administrator (TPA) licensed by IRDA. A health card mentions the contact details and the contact numbers of the TPA along with your policy details. In case of a medical emergency, you can call on these numbers for queries, clarifications and for seeking any kind of assistance. Moreover, you need to display your health card at the time of admission into the hospital. It’s your choice, but you would have to intimate Apollo Munich of the same and the concerned insurance company. You can refer to the list of empanelled hospitals on our website in Download section or the list provided in the guidebook or welcome kit. Alternatively you can also call Apollo Munich’s Toll Free Line at 1800-102-0333 or email them at customerservice@apollomunichinsurance.com or call you respective TPA.